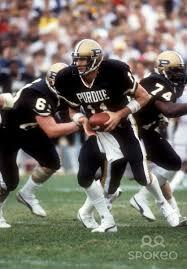 Purdue got lucky with Jim Everett. 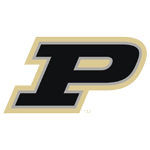 He went there partly because one of his high school teachers was a Purdue fan. The school’s quarterbacking tradition didn’t hurt. He nearly moved to tight end, though, after narrowly getting beat out by Scott Campbell as the starting quarterback, but remained patient. He wound up starting two seasons at quarterback, and made the most of them. He led the 1984 team to the Peach Bowl, beating Michigan, Ohio State and Notre Dame along the way, and then led the NCAA in total offense and finished sixth in the Heisman balloting as a senior. He was the third pick in the NFL draft, and had a productive 12-season career. His reputation was stained by a period in Los Angeles with the Rams, when he became gun-shy in the pocket behind a weak offensive line and picked up a reputation for being soft. That led to a confrontation with then-local television host Jim Rome, who had been baiting him by calling him “Chrissie,” a reference to tennis star Chris Evert. Clever, eh? When Rome did it to Everett’s face on the show, Everett turned over the table separating them and walked off the set. Rome later grew up enough to apologize for his childish, attention-grabbing tactics. Everett has a lot more going for him than quarterbacking, though. He tutored teammates at Purdue and graduated with a degree in industrial management. He also was awarded the Big Ten Medal of Honor for his athletic and academic achievements. He went on to become a successful financial manager. The incident with Rome is just a footnote in his life, but it’s an all-time great video clip, and more embarrassing to Rome than Everett. Here’s something else he should be remembered for: he got an MBA from Pepperdine after his NFL career ended, and has had great success in the financial world.